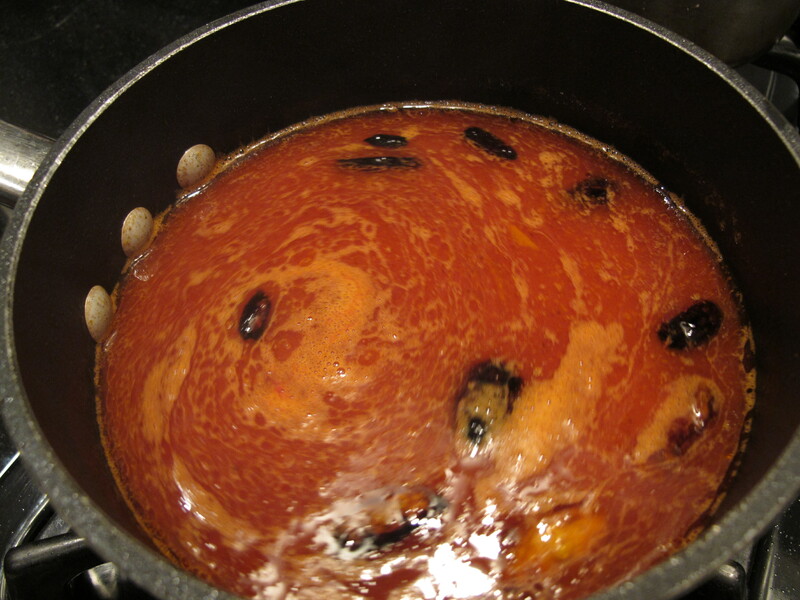 This is an Egyptian dish I first tasted while attending class at the Taos Cooking School several years ago. Chef Chris Maher shared this recipe, a favorite from his childhood memories. 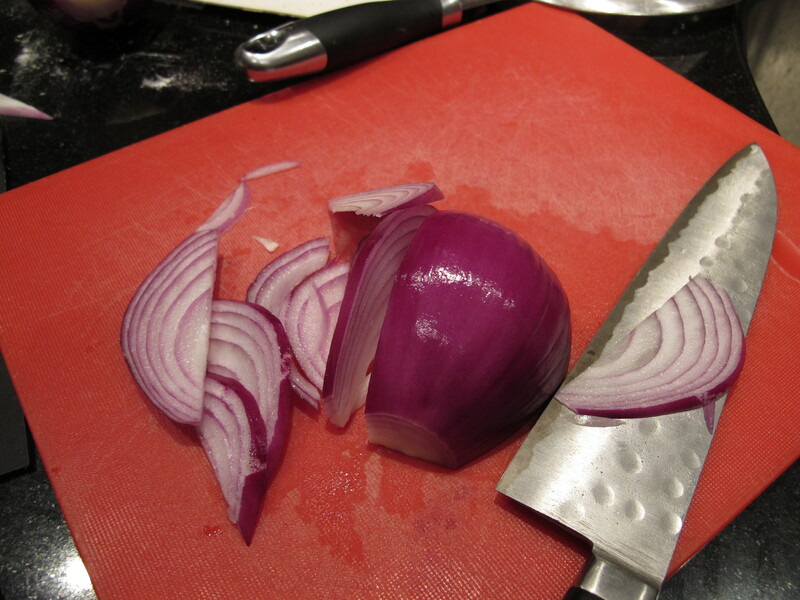 It is simple and comforting food that I like to serve for lunch or dinner. It’s good hot or at room temperature. Next time you’re entertaining vegetarian friends you might want to give it a try. On paper it isn’t a recipe that would grab my attention, but somehow the mix of flavors and textures is just delicious. 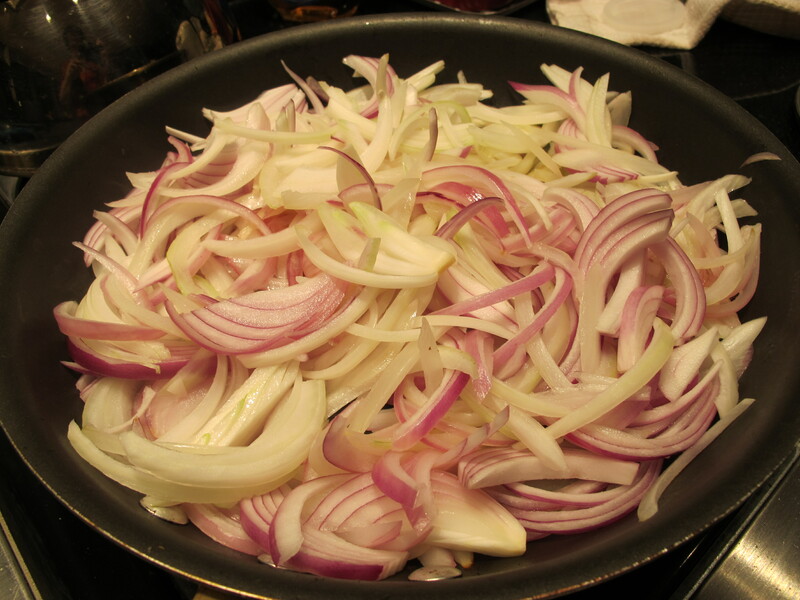 And how can you go wrong with carmelized onions? Rinse lentils under cold water. 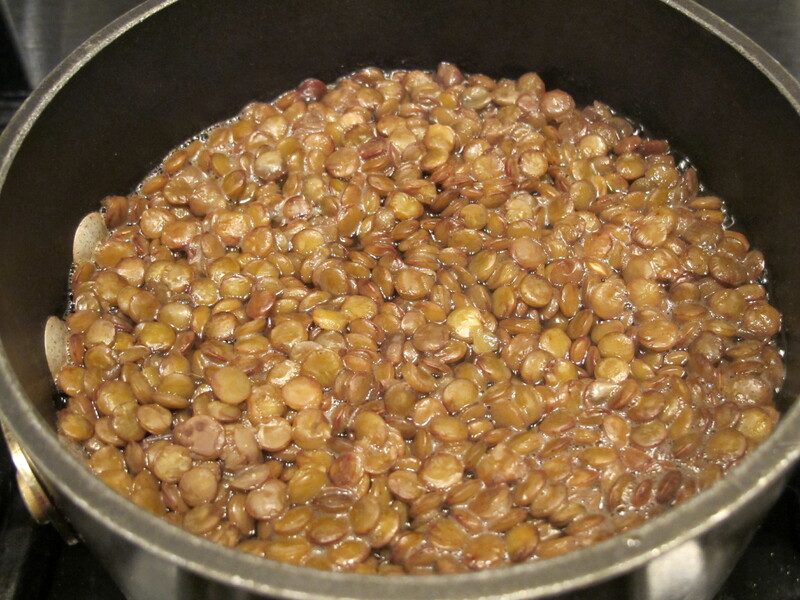 Place lentils in a pot and cover generously with cold water. Bring to a boil, reduce heat to vigorous simmer until lentils are soft. Drain and add salt to taste. 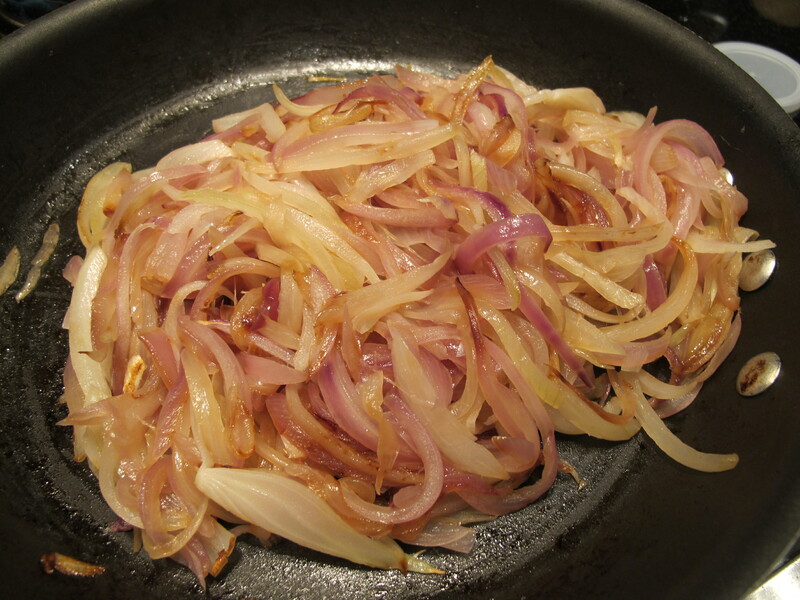 Carmelize onions – place julienne onions and 1/8 c. oil on high heat. 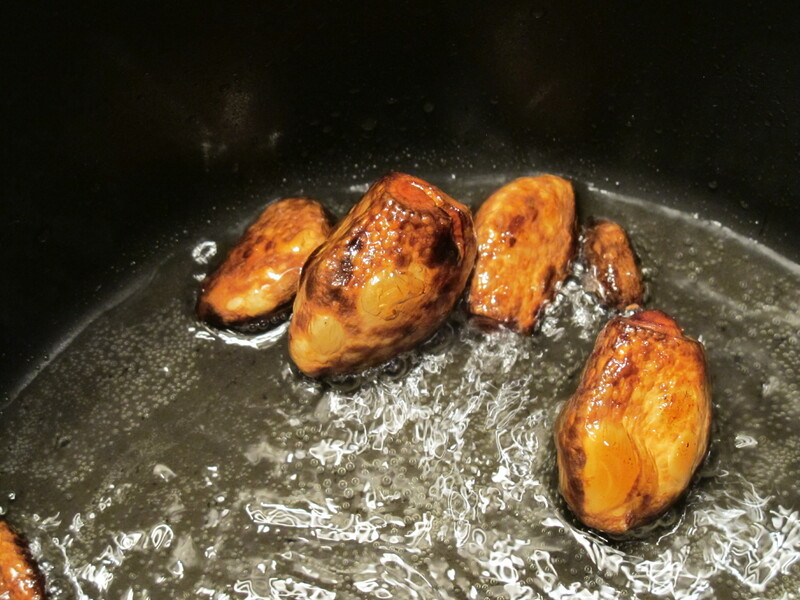 Stir often until they begin to brown, then turn to medium. Stir frequently until all are brown. 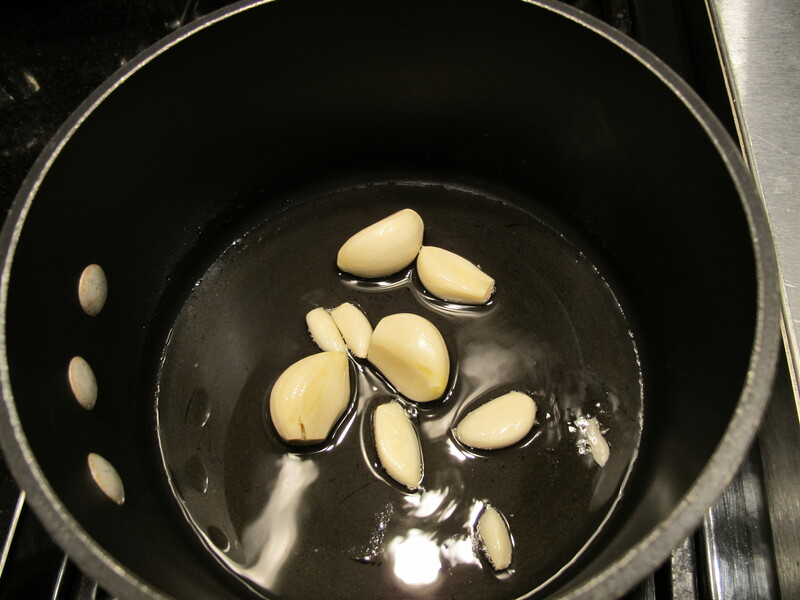 In a 2 quart pan, heat 1/4 cup oil and whole garlic cloves & thoroughly brown. Add cayenne and tomato paste and sauté. Add water and vinegar. Simmer until it thickens slightly. 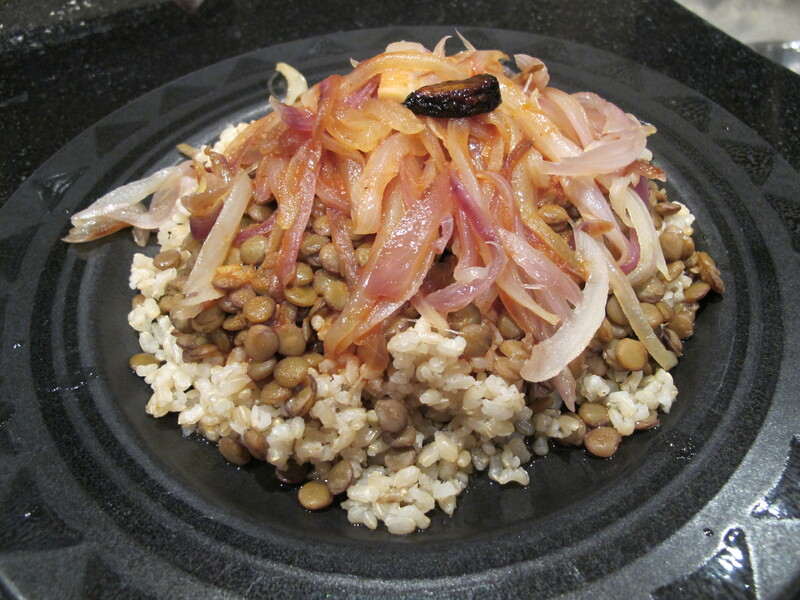 Layer rice, lentils and onions. Pour on some sauce. Serve rest of sauce on the side. Garnish with parsley. Serve, sit down and savor. Looks absolutely delicious Terri. Into my recipe box with this one and then onto the dinner table. Thanks for sharing this. Like everyone else I am always on the lookout for a new recipe.